Police arrested five people in their 20s suspected of beating a 23-year-old woman to death and burying her body on a hillside. 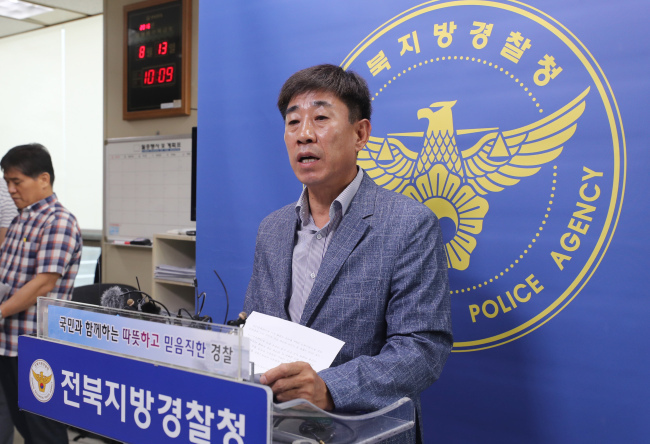 The Gunsan Police Station in North Jeolla Province said Monday they have detained the five on charges of murder, disposal of a corpse and assault. The suspects and victim had lived together in an apartment in Soryong-dong, Gunsan, since March, and the victim, the only person among the six who didn’t have a job, did the housework. Police suspect the six lived together to plan fraudulent activities. The five are alleged to have buried her on a hill about 20 kilometers away from the flat at around 4 p.m.-5 p.m. The assailants purportedly revisited the hill five or six times to check whether the corpse had decomposed. When the corpse was partially exposed due to heavy rain in the area in late June, they are believed to have moved the body to another hill. Police are looking into the methods of the crime and whether additional crimes were committed.